This light and bright two-bedroom unit will delight you upon inspection and is ready to move into now! With north facing orientation, this property is well presented and maintained, with an abundance of natural light. Both bedrooms are of good proportion and have built-in-robes, good size bathroom with separate shower, bath and vanity. The central living space has gas heating and accompanies the bright meals area and neat kitchen. 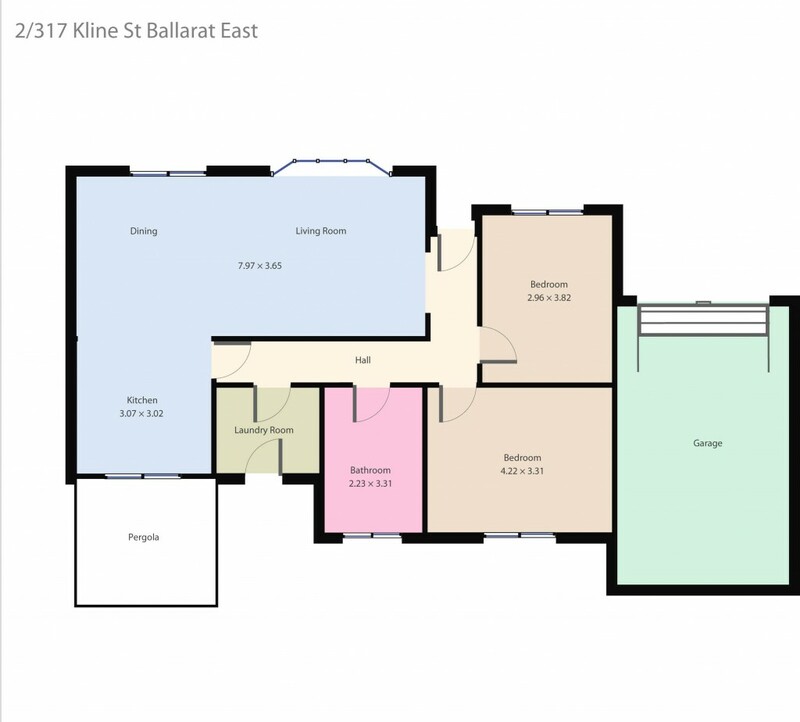 Located minutes to Ballarat CBD, local shops and public transport this property has all the conveniences. Low maintenance rear yard and single lock up garage complete the package. Great Body Corp; owner occupiers only.